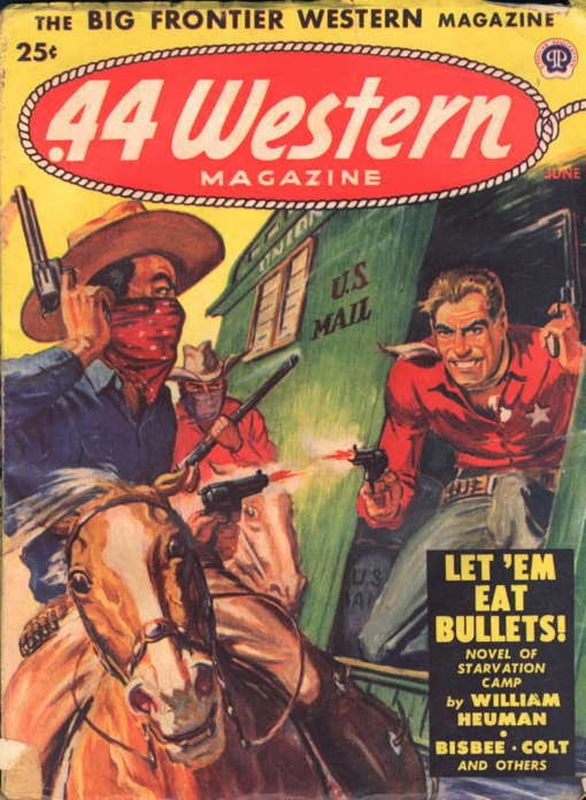 I'd be as wild-eyed as that horse if I was in the middle of a gunfight like that. Nice-looking issue with stories by William Heuman and Joseph Chadwick, along with some lesser-known names. "Let 'Em Eat Bullets!" is a good title.